The new public integrity regime established by the Independent Commissioner Against Corruption Act 2012 (SA) has been a reality for nearly five months. Now that the dust has settled, it is an opportune time to bring the more specific elements of the regime into sharper focus. The gifts and benefits provisions of the Code of Conduct for Council Members (Code) have provoked heightened attention. We take this opportunity to examine those provisions – in particular, the ‘hospitality’ exception – to highlight their practical effect and to dispel some of the misunderstandings that have been leading to unwarranted concern throughout the Local Government sector. Regarding the seeking of gifts and benefits, the position is clear — council members cannot seek gifts and benefits (excluding campaign donations in accordance with the Local Government (Elections) Act 1999). They are from a contractor or a person seeking to be a contractor of the council, unless the gift or benefit falls within the ‘hospitality’ exception. Gifts and benefits which do not fall in either of the above categories may be accepted. Paragraph 3.9 of the Code allows the acceptance by a council member of gifts and benefits which do not fall within the above category ‘A’ but which are from a contractor or prospective contractor where the gift or benefit can be characterised as ‘hospitality provided in the context of performing their duties’. Paragraphs 3.9.1—3.9.2 then set out examples of what falls within this concept of ‘hospitality provided in the context of performing their duties’. These examples are just that - examples. They should not be seen as defining the full extent of the term ‘hospitality provided in the context of performing their duties’. The gift or benefit is provided ‘in the context of performing their duties’. If the answer to question 1 is ‘no’ and the answers to questions 2 and 3 are ‘yes’, then the hospitality can be accepted. It is not the case that only hospitality which fits exactly into the limited examples provided in paragraphs 3.9.1—3.9.2 of the Code may be accepted. These examples are useful guidance, but they are nothing more. As is set out above, there are instances where gifts and benefits may be accepted by council members. Where any gift or benefit (including hospitality) is accepted which is of more than $100 in value, the details must be recorded in the council’s public gifts and benefits register maintained pursuant to the Code. It is open to a council to impose additional obligations regarding the reporting of gifts and benefits (such as through the adoption of a policy), provided those obligations are not inconsistent with the Code. Where this has occurred, members of the particular council should adhere to those additional obligations along with the provisions of the Code. 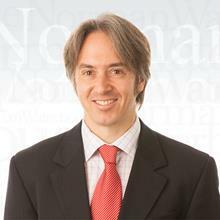 The Norman Waterhouse Governance and Regulatory team wishes you a happy 2014! The provision of landscaping is an important aspect of a development proposal which is often overlooked by developers. As a consequence, local councils often impose a standard condition as part of a development plan consent to ensure any proposed landscaping is implemented and maintained to a reasonable standard. In the recent case of Rabbah v City of Mitcham  SAERDC 53 the Environment, Resources & Development Court provided guidance as to the construction of a commonly used landscaping condition. The proposed landscaping, shown on the Landscape Plan, shall be maintained in a healthy condition and shall be nurtured at all times to the satisfaction of the Council. In the event any of the plantings depicted on the Landscape Plan die or become diseased, they shall be replaced forthwith with the same species shown on the Landscape Plan, to the satisfaction of the Council. It is worth noting that the planning consent in question had been obtained only after a long-running dispute with the Council and two planning appeals brought by Mr Rabbah (the second being successful). It is also worth noting that the Condition was the subject of some argument at the time of the second planning appeal and Mr Rabbah consented to it in the form set out above. On 21 January 2013 the Council issued an enforcement notice alleging that the appellants had breached the Condition by failing to nurture the health of the Plantings. The notice directed them to remove and replace any dead or diseased plantings on or before 1 April 2013. The appellants appealed, claiming that the Council had acted unreasonably, in particular by insisting that the direction to return the Plantings to ‘good health’ was more onerous than the requirement for ‘healthy condition’ as per the Condition. The appellants also asserted that the Condition should be read in two parts, with the first sentence containing only introductory words such that only the event of the plantings dying or becoming diseased could give rise to a breach of the Condition. His Honour Judge Costello held that the notice was not unreasonable, and held that the Council had not imposed a more onerous requirement by using the term ‘good health’, as in His Honour’s view there is no qualitative difference between the terms ‘good health’ and ‘healthy condition’. His Honour also held that the plain words of the Condition imposed two distinct requirements. First, that the Plantings be maintained in a healthy condition, and secondly, that any Plantings that may become diseased or die be replaced. A ‘two-pronged’ landscaping condition such as Condition 4 widens the scope for councils to enforce the quality of approved landscaping. It entitles councils to take enforcement action not only when the plants have died or become diseased, but also at an earlier stage if their health falls into decline. Although standard conditions are useful as a starting point, each condition should be relevant and directly applicable to the specific circumstances of the proposed development. This may require specific “tailoring” of the condition. After a long wait, the Burial and Cremation Act 2013 (SA) (the Act) will soon commence operation. The Act received the Governor’s assent back in June 2013, but remained uncommenced while the Burial and Cremation Regulations 2014 (SA) (the Regulations) were being developed. Virtually the entirety of the Act and the Regulations will commence on 1 February 2014. We have previously advised our Briefly readership as to the differences between the old statutory regime and the new Act. The only development since that time has been the drafting of the Regulations, which mostly prescribe certain technical aspects for the purposes of the Act. Not all of the new statutory regime will commence on 1 February 2014. The new regime contains various record-keeping obligations, with penalties significantly higher than under the present, soon-to-be-repealed regime. Most of those obligations will not commence until 1 August 2014. The equivalent record-keeping obligations under the Local Government Act 1934 (SA) and the Local Government (Cemetery) Regulations 2010 (SA) will nevertheless be repealed on 1 February 2014, and so, strictly speaking, very few record-keeping obligations will exist between 1 February 2014 and 1 August 2014. However, cemetery authorities should use this interim period to transition between the old record-keeping requirements and those contained in the new statutory regime, in order to achieve compliance with the new requirements as soon as possible. Norman Waterhouse has already provided advice over the past year to cemetery authorities regarding this impending new statutory regime and its interaction with various other Acts and Regulations. We look forward to continuing this partnership with cemetery authorities (and new ‘natural burial ground’ authorities) as the new regime becomes a reality. For more specific information on any of the material contained in this article please contact Dale Mazzachi on 8210 1221 or dmazzachi@normans.com.au, or Felice D’Agostino on 8210 1202 of fdagostino@normans.com.au. Variations to the Development Regulations 2008 have recently been made by the Development (Swimming Pool Safety) Variation Regulations 2013 (Variations). The Variations are intended to strengthen pool safety across the State by mandating, among other things, that councils inspect 100% of new swimming pools constructed in their area. The majority of the changes arising from the Variations came into force on 1 January 2014, however, the requirements relating to council inspections and inspection policies do not come into force until 1 April 2014. This article provides a brief overview of the main changes introduced by the Variations, and also alerts councils to the need to update their building inspection policies in order to reflect and comply with the changes. in relation to building work where other swimming pool safety features are relevant – completion of the building work relating to those safety features. Notification requirements are the responsibility of the licensed building work contractor carrying out (or in charge of carrying out) the relevant building work, or, if there is no such licensed contractor, the building or swimming pool owner. Councils may prosecute or issue expiation notices for failures to comply with a mandatory notification requirement. the remaining 20% must be inspected within two months of notification. Norman Waterhouse continues to offer a template building inspection policy for sale. That policy will shortly be updated to incorporate the new inspection policy requirements so as to satisfy new Section 71AA(4a) in addition to existing Section 71A(1). The amendments will be provided free of charge to councils who have previously purchased the template. Councils who have not yet purchased the template are welcome to do so. Councils must comply with the new inspection policy requirements by no later than 1 April 2014. An additional lodgement fee of $170 (in addition to the base lodgement fee) for development applications involving the construction or alteration of a swimming pool, spa pool, or swimming pool safety fence or barrier has been introduced to compensate councils for the additional resources required to comply with the new inspection requirements. For more specific information on any of the material contained in this article please contact James Nicolson on 82171342 or jnicolson@normans.com.au. As of 1 January 2014, the new Local Government (General) Regulations 2013 (Regulations) came into operation. Though the overall changes brought about by these Regulations may be considered ‘minor’ it is recommended that councils are aware of them and consequently take steps to ensure that council processes are up-to-date. There have been some numbering changes which could cause some confusion when comparing the ‘old’ and the ‘new’, but we have set out the regulations by reference to the table available here, which will make for easier reading. Given the new numbering and syntax changes, it is important for councils to check forms (Primary and Ordinary Returns (Forms 3-6)), and update accordingly. 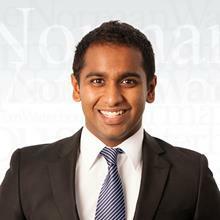 For more specific information on any of the material contained in this article, please contact Ganesh Krishnan on 8217 1395 or gkrishnan@normans.com.au or Trevor Gormley on 8210 1246 or tgormley@normans.com.au. In our December 2013 Briefly we brought to your attention the August 2013 listing of the ‘'River Murray and associated wetlands, floodplains and groundwater systems, from the junction of the Darling River to the sea” (Listing) as a threatened ecosystem under the Commonwealth Environment Protection and Biodiversity Conservation Act 1999. The Listing encompassed the River Murray from slightly upstream of the Darling River junction through to its mouth at the Coorong. However, on 11 December 2013 (the second-last sitting day of the year) the House of Representatives passed a motion proposed by the Federal Member for Barker (Mr Tony Pasin – Liberal) that the Listing be disallowed. As a consequence, the listing is of no legal effect. A similar motion made at the same time also disallowed the listing of the Macquarie Marshes. I am happy to say, as the member for Barker representing South Australia's Murray River communities, all the relevant ecological communities are already protected and will continue to be protected. This is not advice that was dreamt up by that committee overnight; it is a process that started in 2008. It is a process that involved consultation with 60 organisations, including local councils, NRM bodies, irrigation regions and farmers federations and it involved technical workshops over a couple of years. The advice was very deeply considered by the committee. ... It was based on evidence that was channelled through an environmental protection framework put in place by the former Howard government and supported throughout the six years of the Rudd and Gillard governments. [A]t issue in this debate is the fundamental question: does this government want to continue with a process of environmental protection that simply goes species by species, whether it is flora or fauna, or does this government recognise the benefit to everyone, whether they are advocates in environmental protection or potential developers in those regional communities, of having a more strategic approach that deals with communities in their broader sense rather than the communities as a collection of individual species that go through their own listing process? The Government had the numbers and the disallowance motions passed. This means that persons seeking a development authorisation within the boundaries of the Listing are now no longer required to consider whether their proposal would have a significant impact upon the (formerly) listed ecological communities and, if so (or if in doubt), refer the proposal to the Commonwealth Environment Minister. However, state legislation continues to apply (for example, the Development Act 1993, the Native Vegetation Act 1991, and the Environmental Protection Act 1993), as do the threatened species listings under the EPBC Act. Many threatened species (animals and plants) exist in and around the River Murray (and Macquarie Marshes) and all persons considering development in those areas should investigate such matters thoroughly.